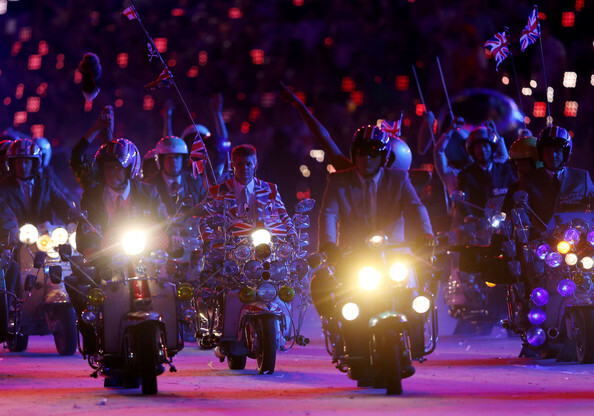 Brits on vintage Italian scooters buzzed their way through the closing ceremonies of the London 2012 Olympics with little or no appreciation for the nationalistic irony. As cool as it is that the scooters were included, this was one more thing in a long, strange line of anachronistic iconography that permeated the games. Anglophilia notwithstanding, it’s always fun to see that many old scoots in one place. We’ve found an adorable new documentary all about sidecars and dogs. It’s called Sit Stay Ride — The Story of America’s Sidecar Dogs and it’s looking for funding right now on Kickstarter.